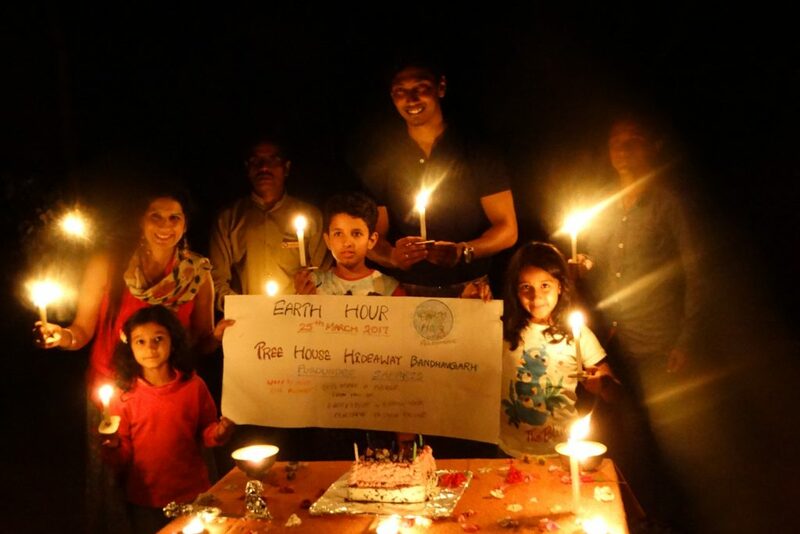 Earth Hour is a worldwide movement for the planet to shine light on climate action. 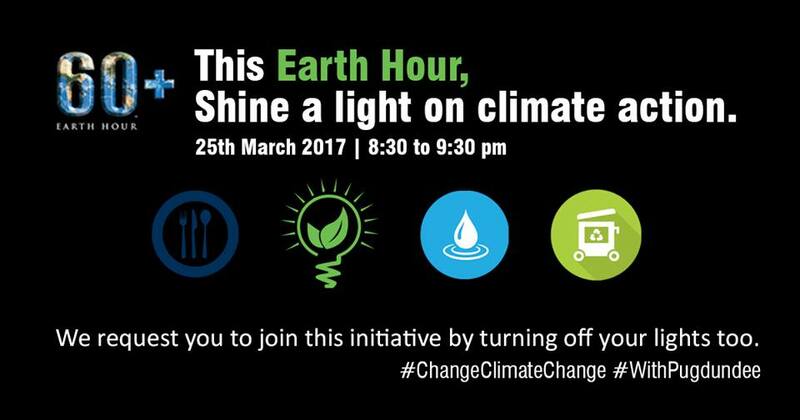 By turning off non-essential lights for one hour, this initiative aims to raise awareness about climate change. The guests were communicated about this initiative in advance and they were happy to be a part of it. 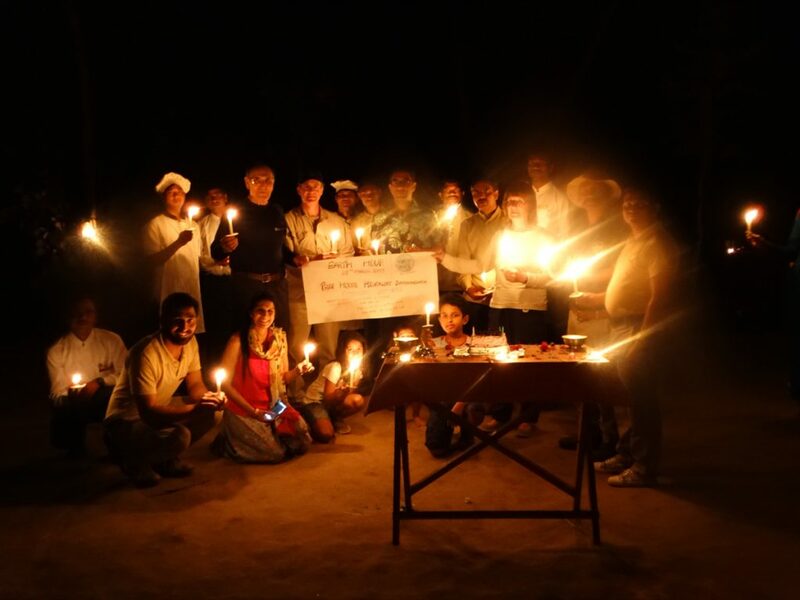 From 8.30- 9.30 pm, the lights were switched off in the lodge and we organized a Tribal Dance from the local community followed by the candle light dinner. The tribal dance covered the various customs and traditions of the local Gond community. There was a special activity for children where the team held a small session explaining them about conserving earth and what could they do to make a difference in their day to day lives through games and stories. The evening ended with heartfelt messages written by children for the lodge board and cake cutting. Posted on March 26, 2017 by pugdundee blog. 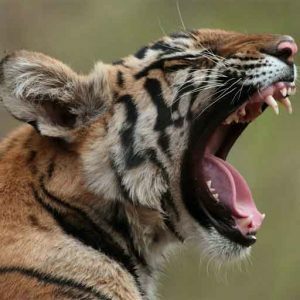 This entry was posted in Conservation & Community, Our Sustainability Journey and tagged conservation, earth hour, sustainability. Bookmark the permalink.